A simple Excel invoice template could be a complete invoicing software program with the help of Uniform Invoice Software. Blank Excel invoice templates do produce professional-looking and printable invoices, yet they lack the ability to manage customers, products, invoices and payments. 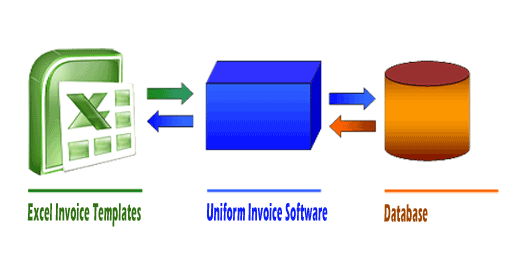 Uniform Invoice Software upgrades an Excel invoice template to a complete invoicing system. Uniform Invoice Software is a flexible invoicing software program that uses Excel invoice templates as its front-end, and connects the template with database to offer advanced features such as manipulating customers, products, invoices and payments. This architecture makes it possible to combine the power of Microsoft Excel with database. Compared to a pure-Excel invoice creator, Uniform Invoice Software takes advantage of database; therefore, it is suitable to efficaciously manage large amount of data. In the same time, creating invoices with Uniform Invoice Software is much like filling in an intuitive blank Excel invoice form. And you have all the Excel tools that you can use to make your invoices unique to your business. Please download and install the program, or download the CHM package to view full documents. Pop-up Excel Calendar adds a date picker calendar to your Excel, which could pop up a calendar whenever you enter a date cell, allowing you to pick a date from the calendar, instead of typing manually. Pop-up Excel Calendar is an Excel date picker for Microsoft Excel that pops up calendar for you to easily pick date values. Pop-up Excel Calendar has a new web site now, please visit Excel Date Picker - a Pop-up Calendar for Excel. 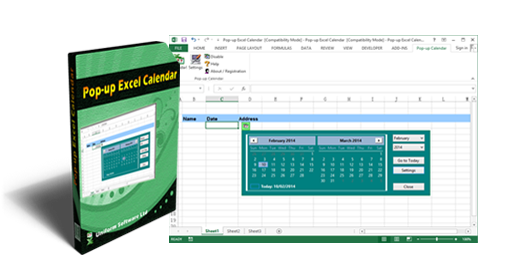 Excel Date Picker / Pop Excel Calendar is implemented as an Excel COM add-in program. This means you install the program once on a computer, it'll work for all Excel files you open on the computer. Excel Date Picker / Pop-up Excel Calendar works with all major Excel versions, including Excel 2003, Excel 2007, Excel 2010 and Excel 2013. It supports both 32 and 64 bit Microsoft Excel. InvoicingTemplate.com is our new web site that hosts a gallery of free Excel invoice templates that are categorized as Sales, Service, Consulting, and Receipt etc. 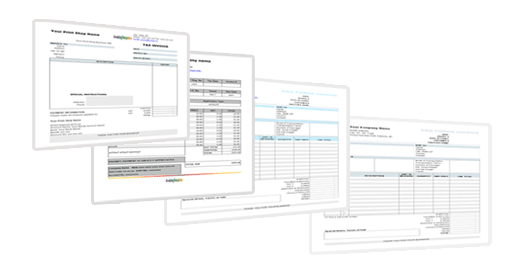 InvoicingTemplate.com offers the invoice templates that work with Uniform Invoice Software. Each template is released in two editions - one free invoice template and one that works with Uniform Invoice Software. Are you looking for information about Excel Invoice Manager? 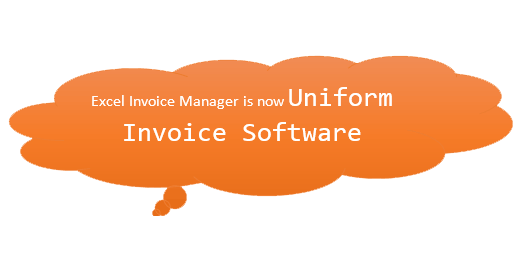 On on August 4, 2013 we released Uniform Invoice Software, the new generation of Excel Invoice Manager. The new generation of our invoicing software supports the latest versions of Windows and Office, both 64-bit and 32-bit. The following documents are specific to Excel Invoice Manager. For documents of our new generation of the invoicing program, see Uniform Invoice Software. If for whatever reasons you have to insist on Excel Invoice Manager and need to reinstall the program, contact us for a download link for Excel Invoice Manager.